Erica Synths backpack is designed to perfectly fit with our 2x104 HP Aluminium travel case for even more convenient travelling with your modular by your side. 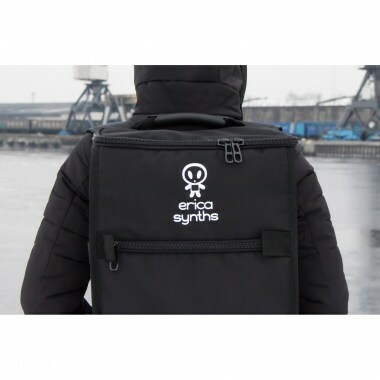 DJ Кейсы, сумки, чехлы Erica Synths Erica Synths Backpack Вы можете купить по выгодной цене в наших музыкальных магазинах в Москве и Санкт-Петербурге, интернет-магазин, доставка по России. 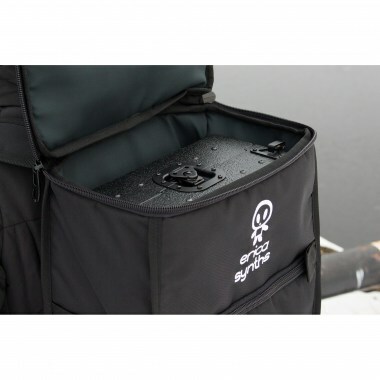 The backpack consists of the main pocket designed to perfectly fit the travel case and a 15'' laptop and three small pockets on the sides and a pocket on the front for stacking cables, patch notes and small belongings. Each backpack is 100% hand made in Latvia with only the best sustainable materials used. Empty backpack weights 0.9kg and its dimensions are 59x33x18cm. Made in cooperation with Negorod.